Real Madrid sold 345,000 James Rodriguez jerseys in the first 48 hours following the signing, generating a revenue in excess of £20 million. The return on investment is realizing very quickly for Real Madrid, after signing the Colombian midfielder for the reported £71 million a few days ago. 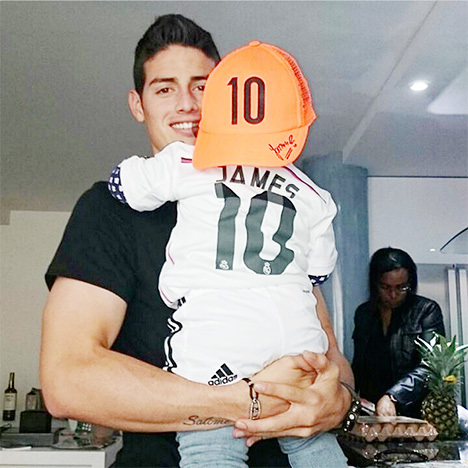 The James #10 shirts are selling as quickly as Cristiano Ronaldo's did, when he first arrived at the club.. The Golden Boot winner and the star of the 2014 FIFA World Cup, James Rodriguez, just turned 23 and will hopefully have a bright football future ahead of him in Madrid and playing for his national side. As far as the next season is concerned, Real Madrid coach, Carlo Ancelotti, stated that James Rodriguez is a purchase for the future, while in the mean time he hopes that players like Angel di Maria will stay at the club for a while longer.